English-by-way-of-Germany golfer Florentyna Parker is a first-time winner on the Ladies European Tour today after claiming the ABN AMRO Ladies Open in the Netherlands. Parker is in her second season playing the LET. In 2009, she finished 24th on the LET money list. Her best career placing prior to the victory was a runner-up at the 2009 Ladies Irish Open. In 2010, Parker - called Flory by friends - had two sixth-place finishes and one more Top 20 among six starts prior to winning in the Netherlands. 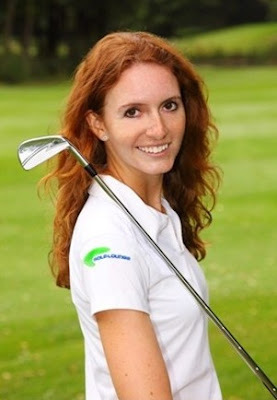 As an amateur, Parker was the winner of the French Under 21 Championship, and represented England in the Curtis Cup, Junior Solheim Cup, and Junior Ryder Cup.